What is the size of the market for xMOOCs? I’m not sure anyone really knows, not even the MOOC providers. The size of a market for a good or service is defined as the number of individuals in a market who are potential buyers. Market size also translates into dollars, typically measured in terms of revenue ($ sales) for a given product/service. Companies—sellers in the market seek to obtain a share, or a piece of the pie. Since for-profit MOOC providers such as Udacity, Coursera and even not-for-profit edX now charge fees for select courses and/or services, we have ourselves a market—a MOOC market. But how big is it? How much revenue ($$$) will MOOC providers need to generate to satisfy investors or in edX’s case keep the lights on? Only time will tell. But in the meantime it’s probably a good idea for educators to take note of what’s happening in the MOOC market. 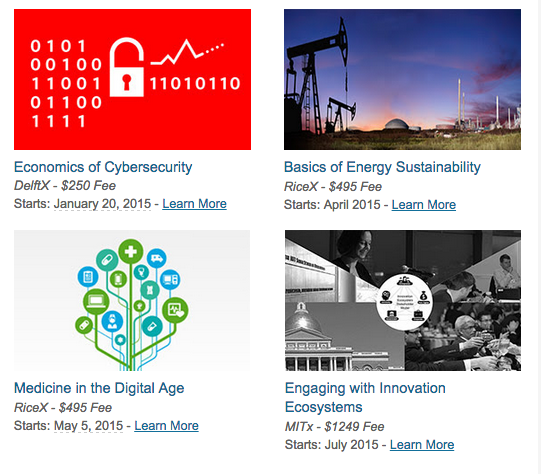 EdX launched five courses this under the banner of Professional Education. Though they come with a price, starting at $495. 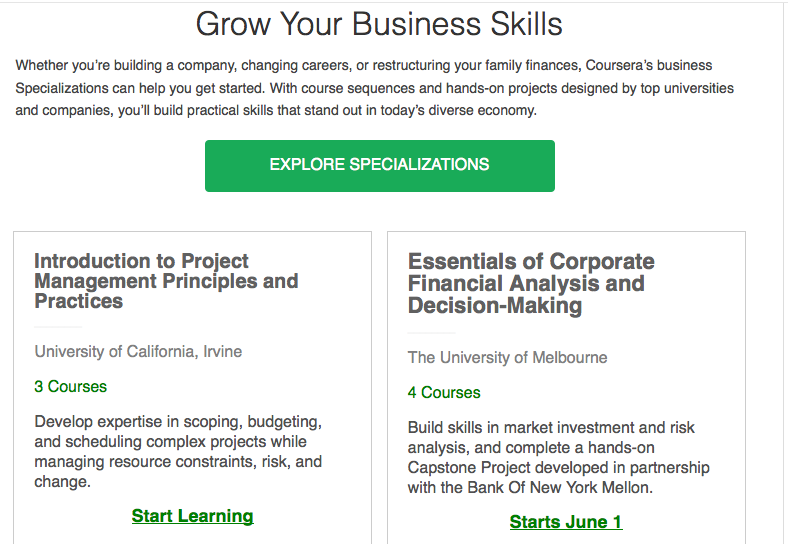 Coursera is counting on the Specialization Certificate programs for a revenue stream. 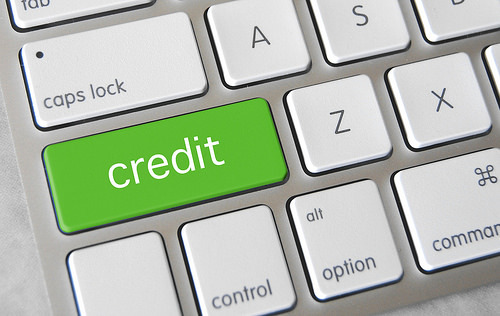 A Specialization Certificate program features two or more MOOCs grouped around a specific topic, described by Coursera as a “targeted sequence of courses”. Screenshot from Coursera Specialization program description. Cost for Certificate program depends upon number of MOOC in the sequence: each MOOC is $49 (the cost of a Signature Track credential), and $49 for a capstone project. Udacity launched the nanodegree program several weeks ago. Details are now available. The cost structure is not per course as edX and Coursera, but by month. This format closely resembles competency-based education programs (e.g. Western Governors University), where students invest as much time as needed to master the content of a course. Students then demonstrate via competency assessment where mastery is the benchmark. Insight: Soon we’ll need to drop the ‘O’ (for open) from the MOOC acronym. Perhaps the ‘M’ too, given potentially shrinking class sizes once a price is attached to ‘free’ learning. We will be left with ‘OC’, for Open Course. Or maybe for Online Credential. An online credential that one pays dearly for. 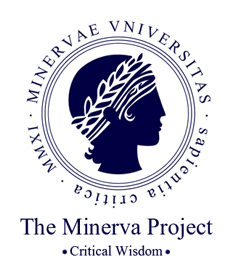 The Minerva Project, a new university with a novel concept—students study in different locations around the world starting in San Francisco and not in a typical university setting. There’s no classrooms, sports teams, or libraries. Minerva sees itself as an elite university, a rival to the Ivy leagues. It’s for-profit with a diverse set of investors. The founder and CEO is Ben Nelson, former executive of Snapfish. Insight: I was skeptical of the concept when Minerva first launched, and still am. Apparently investors are not. Inside Higher Education reported on a meeting of an international group of higher education institutions that came together to explore the impact of MOOCs on higher education. The meeting, convened by George Siemens produced some interesting conclusions, though not all surprising including 1) the future for higher education is digital and 2) MOOCs provided safe spaces for experimentation and innovation in teaching and learning and more.